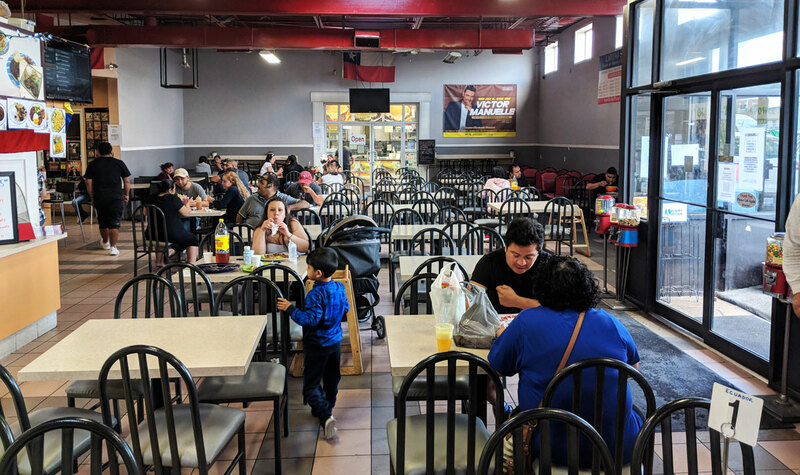 Though I’ve already written about a restaurant in the Plaza Latina food court, another visit was probably inevitable. That place is an absolute treasure trove of Latin American food. 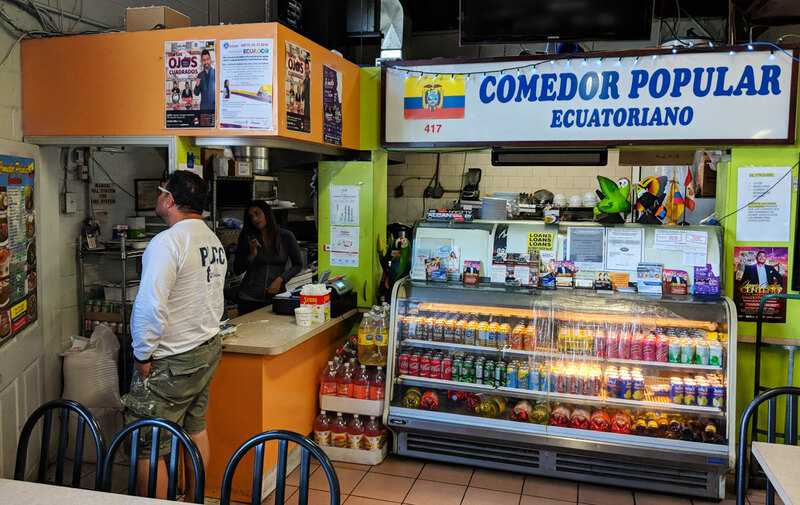 This time, I visited an Ecuadorian restaurant called Comedor Popular Ecuatoriano. 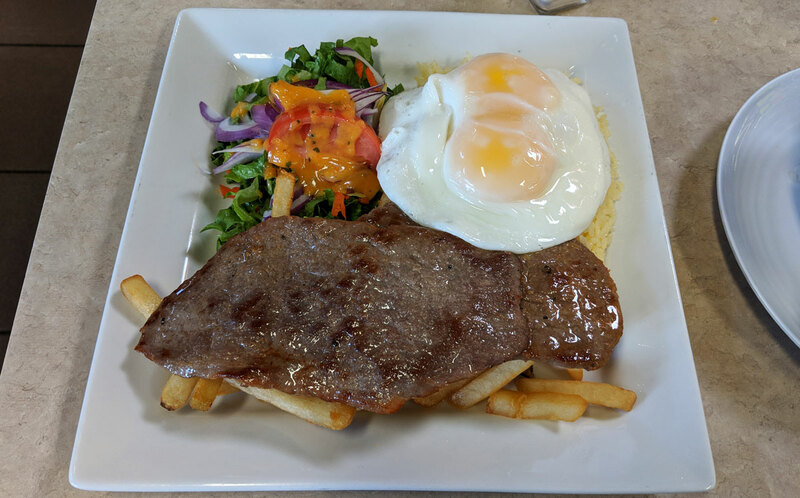 I wasn’t sure what to order; the woman behind the counter recommended a dish that came with a hearty soup and churrasco, an Ecuadorian take on steak and eggs. The soup came out first, and it was really, really good. 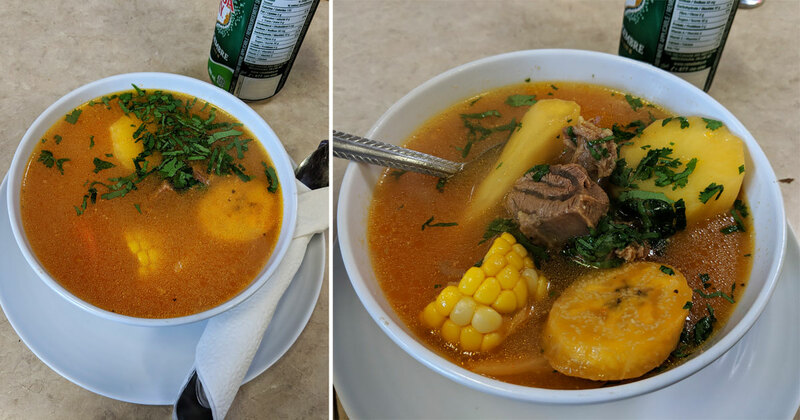 I didn’t see it on the menu, but I’m pretty sure this was sancocho. I had this particular soup at a restaurant called Mi Tierra, but this one was clearly the superior version. The broth had a really satisfying chicken-infused flavour, with a nice hit of cilantro and a zestiness that kept me coming back for more. It was also seriously hearty, with huge chunks of cassava, carrots, plantains, beef, and corn. This alone would have been a satisfying lunch. But of course, there was still the main meal: a huge plate piled high with steak, rice, fries, two fried eggs, and a salad. If you’ve got a big appetite, this is your place. Oddly, I really enjoyed this even though most of the individual components weren’t all that great. The steak was tough, the fries were run-of-the-mill, and the rice was fairly bland. But once I started eating it all together, it coalesced into something surprisingly tasty. The perfectly runny yolks on the two eggs essentially becomes a sauce that improves everything; if you get a little bit of multiple elements in each mouthful, it’s delicious. 196 countries. 196 plates. All without leaving the GTA. Updated every two weeks.